Share a drink with the Minions! 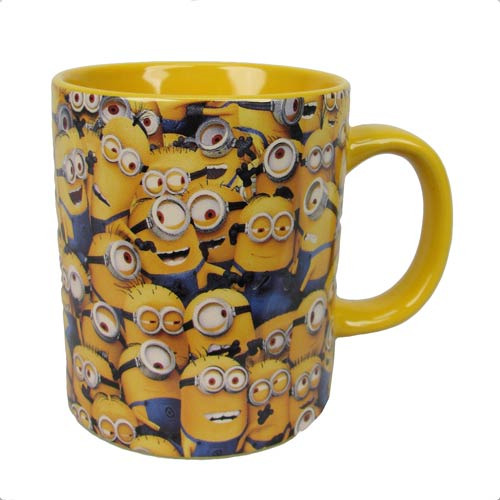 This Despicable Me Cluttered Minions Ceramic Mug features an image of, well, a lot of Minions. Ceramic mug holds up to 14 ounces of liquid. Safe to use in microwave and dishwasher. Ages 12 and up.